Introducing the SlumberCloud Nacreous Mattress Pad it automatically manages the microclimate under your covers. Designed with both a top Outlast® viscose fabric, and inner Outlast® liner fabric, it absorbs heat when you are too hot and releases it when you are too cold. There is nothing to plug in, just put this on your mattress and start sleeping comfortably. I just started selling protectors like this at my store. I have always sold pillows that use Outlast and they are great, very cool to the touch and they stay cooler longer. SO we were excited to feel the pad using the same material. I like that these protectors have a cooling element and they are thicker than the generic waterproof terry cloth protectors, in addition the elastic on the sides is stronger. The Outlast material on top is cool to the touch and stays cooler for longer. I have sold pillows that use this fabric for years and have used them for years as well. Its always nice and cool to the touch. Eventually they warm up naturally but they tend to cool down faster as well. This was my st time using a pad/protector with the same Outlast material. We really love it. Especially this summer when its been warm, the bed feels cooler when we get in. I would recommend anyone who sleeps warm to try this pad. If you’re buying a nice mattress you may as well keep it protected and add to your comfort even though its a bit more than some pads, its worth it. Slumbercloud offers many different bedding products and sleep accessories. Features advanced Outlast® Gold+ Rated Temperature Regulating Technology in the lining and outer fabric. 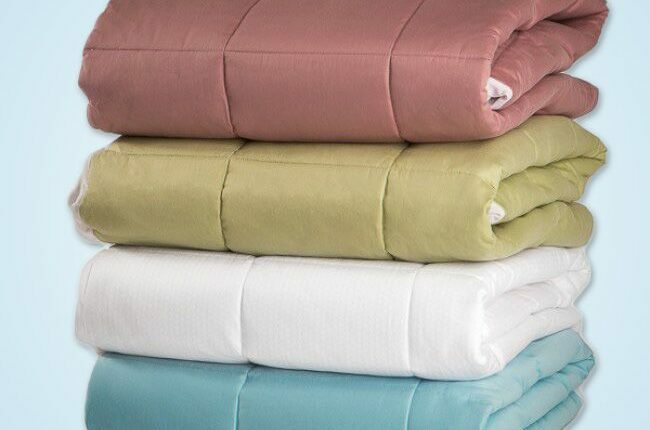 The Nacreous Mattress Pad, has a Gold+ rating due to the top layer of Outlast® viscose (rayon) fabric. This top layer provides a bit more heat managing technology and added comfort. 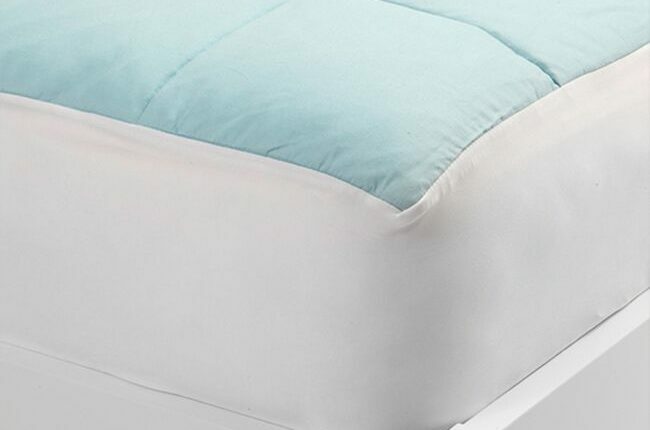 The Cirriform Mattress Pad has a 100% cotton top layer and holds a Gold rating.